Four days ago Carlos Buhler and I tried to get into the remote Johnson Creek, The Ghost to climb Marion Falls (WI5). We got a bit lost and thus didn't have time to climb it once we found it, but it looked great and we thus wanted to come back and climb it. 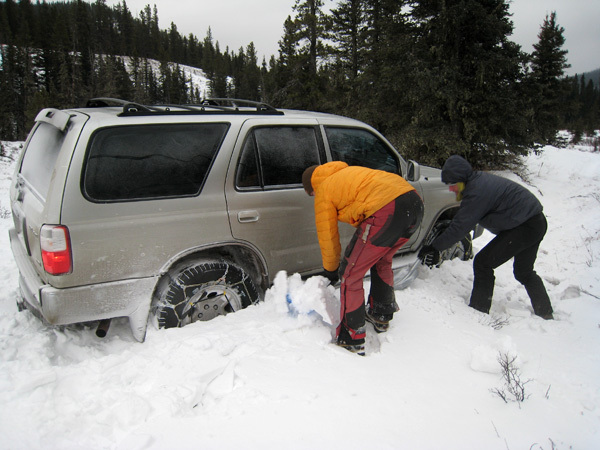 This time we brought snow chains in order to be able to drive all the way into the creek (last time we stopped before a steep hill just before the bog as we were unsure if we would be able to get back up without chains). My Danish friends Line, Martin and David also came along as they wanted to climb Caroline Falls next to our route. The drive into the creek was quite an adventure in itself. 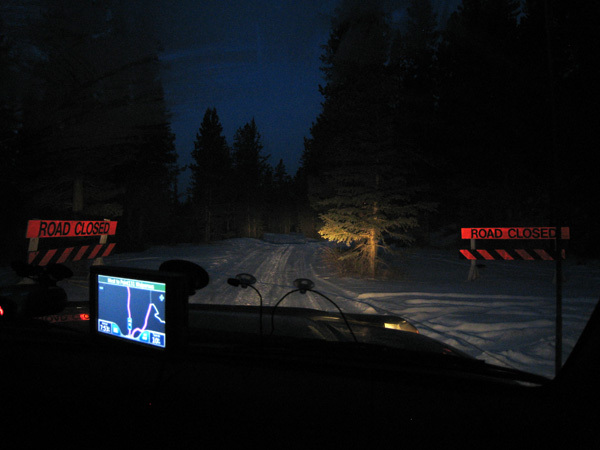 First we followed a snow covered 4WD unpaved track in the forest which turned into a narrow Quad track. 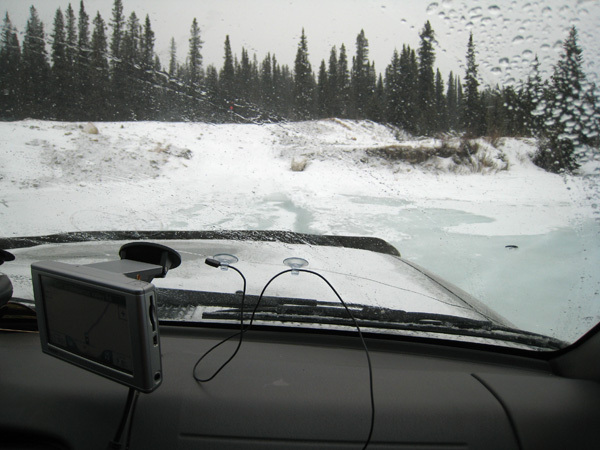 Next we drove across the bog including the creek crevasse and then finally we dove into the frozen Johnson Creek which was a maze of stones and Quad tracks. We actually managed to get all the way to Caroline Falls which was quite an achievement! 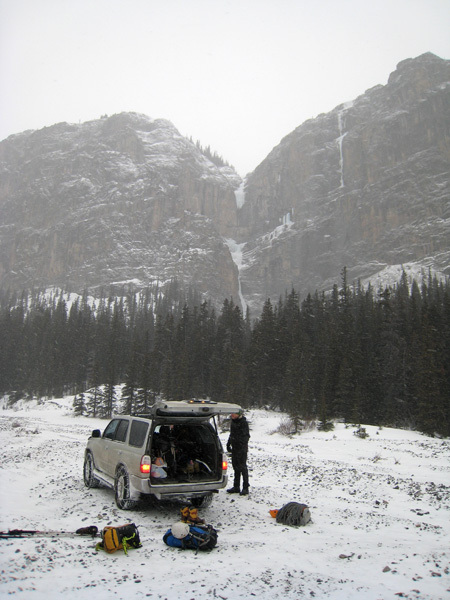 Unfortunately, it began to snow more and more as we drove into Johnson Creek and we were thus nervous if we would be able to find our way back though the stony creek. We didn't want to get stuck with a broken truck this far into The Ghost and thus debated what to do for a while. 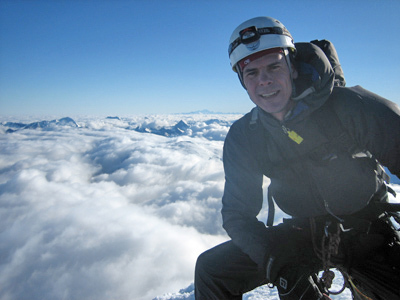 It was really difficult to turn around once again without climbing the route, but we chose the safe option and drove out. Given all the snow that fell later that day it was probably a wise decision. Well, I hope we will get a third try on the route as it really looks awesome! 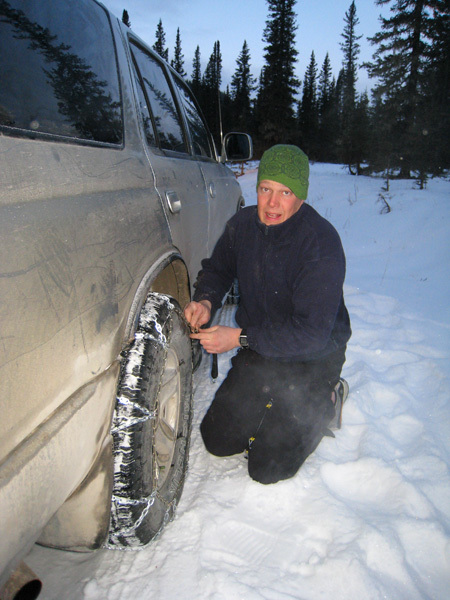 This time we brought snow chains in order to be able to drive all the way into Johnson Creek (last time we parked just before the bog). Crossing a frozen creek was sketchy as we broke through the ice. However, luckily the creek was shallow! The truck got high-centered once and we thus all had to go out and dig it free. Carlos' 4WD in front of Caroline Falls in Johnson Creek. Quite an achievement to get that far into the Ghost with a truck!